International citation of research (Ecology, Environmental Sciences) conducted at Moscow State University, examples. The ecological theory of how aquatic ecosystem and the biological community function toward improving water quality (both in freshwater and in seawater) was formulated in the well-cited paper of a scientist of Moscow University. This theory, inter alia, discovered and analyzed – to a better degree than it was done before – the multi-aspect role of aquatic organisms that are filter-feeders. This achievement was used by the authors of the new paper co-authored by scientists of Poland, China, Korea. 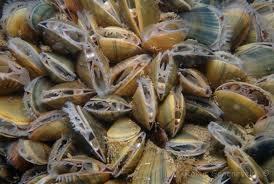 They used the theory to better analyze their new data on marine bivalve mollusk, marine mussels Mytilus. Testing the usability of sea mussel (Mytilus sp.) for the improvement of seawater quality—An experimental study. From the text: … Filtering processes create a possibility of removing chemical compounds, such as organic compounds, heavy metals and nutrients, from water ( [Todd and Josephson, 1996] , [Ostroumov, 2005] , [Zhou et al., 2006] and [Elliott et al.,2008] ). …]. Other examples of citation of scientific research that was conducted at Moscow University by this scientist are given below. 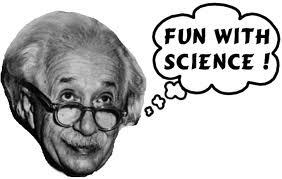 Sum:Innovations, discoveries: science, environmental science, ecology, life sciences: some recent blog posts and sites. Innovations, discoveries: science, environmental science, ecology, life sciences. These are some recent blog posts and sites. Languages: English, Russian. Author Sergei OstroumovPosted on May 16, 2012 July 17, 2012 Categories UncategorizedTags a biológia, a fenntarthatóság, a környezetvédelem, a környezetvédelmi biotechnológia, a poluição química, a szennyezés ellenőrzését, a természetvédelem, a tudományos kutatás eredményei, a vegyi szennyezés, a víz szennyezése, a vízi ökoszisztémák, a vízkészletek, a vízminőség, akvatiska ekosystem, alam sekitar, användbara bibliografi, aquatic ecosystems, aquatische ecosystemen, aquatische Ökosysteme, araştırma oldu Moskova Devlet Üniversitesi'nde yapılan, avastusi, bestrijding van verontreiniging, bezpieczeństwo środowiska, bibliografi berguna, bibliografía útil, bibliografia utile, bibliografie utilă, bilim, biologi, biología, biologie, biology, bioloogia-, biotecnologia ambiental, biotehnologie de mediu, bioteknologi alam sekitar, bioteknologi lingkungan, biyoloji, blog posts, calidad del agua, calitatea apei, çevre bilimi, çevre biyoteknolojisi, çevre güvenliği, çevrenin kimyasal kirlilik, chemical pollution, chemical pollution of environment, chemische verontreiniging, chemische verontreiniging van het milieu, chemische Verschmutzung, ciência, ciências ambientais, ciencias ambientales, Citation, conservação da natureza, controle de poluição, controllo dell'inquinamento ambientale, controlul poluării, de mediu, de waterhuishouding, delle risorse idriche, der Moskauer Staatlichen Universität, descobertas, descoperiri, descubrimientos, discoveries, doğanın korunması, durabilitate, duurzaamheid, ecología, ecologie, Ecology, ecosistemele acvatice, egyetemi oktatás, ekologi, ekológia, ekoloji, ekosistem akuatik, ekosistem perairan, ekosystemy wodne, el control de la contaminación del medio ambiente, el medio ambiente, ensino universitário, Entdeckungen, environment, environmental biotechnology, environmental safety, environmental science, Ergebnisse der wissenschaftlichen Forschung, fakta baru, fakta-fakta baru, fapte noi, fatti nuovi, felfedezések, förorening av vatten, Gewässerschutz, gli ecosistemi acquatici, hållbarhet, hasil penelitian ilmiah, hasil penyelidikan saintifik, hasznos bibliográfia, hechos nuevos, Hochschulausbildung, i risultati della ricerca scientifica di ricerca, ilmu lingkungan, ilmu pengetahuan, Immissionsschutz-, innováció, innovaties, Innovationen, innovationer, innovations, innowacje, inovações, inovasi, inovaţii, inquinamento chimico, învăţământul universitar, istruzione universitaria, jakości wody, jätkusuutlikkus, kasulik bibliograafia teadusuuringute tulemusi, kawalan pencemaran, keamanan lingkungan, keberlanjutan, keemiline saaste, kelestarian, kemiska föroreningar, keselamatan alam sekitar, keskkonna ohutus, keskkonna-, keskkonna-biotehnoloogia, kirlilik kontrolü, konservasi alam, kontrola zanieczyszczeń środowiska biotechnologia, kontroll av föroreningar, kõrgharidus, környezeti tudományok, kualitas air, kualiti air, kwaliteit van het water, l'ambiente, l'inquinamento delle acque, la biotecnología, la ciencia, la conservación de la naturaleza, la conservazione della natura, la contaminación del agua, la contaminación química, la educación universitaria, la sostenibilidad, la sostenibilità, la Universidad Estatal de Moscú, Langlebigkeit, las innovaciones, latest scientific terms, le innovazioni, life sciences, lingkungan, looduskaitse, los ecosistemas acuáticos, los recursos hídricos, los resultados de la investigación científica la investigación, M.V.Lomonosov Moscow State University, meio ambiente, milieu, milieu-biotechnologie, milieu-veiligheid, milieukunde, miljö, miljö bioteknik, miljösäkerhet, miljövetenskap, Moscow State University, Moskow State University, Moskva Riiklik Ülikool, moszkvai Állami Egyetem, naturale, nature conservation, natürliche, naturvård, natuur, nauki, neue Tatsachen, new facts, new scientific terms, nieuwe feiten, novos fatos, nowe fakty, nuttige bibliografie, nützliche Bibliographie, nya fakta, ochrona przyrody, ochrona środowiska, odkrycia, ökológia, Ökologie, ökoloogia, onderzoek dat was gedaan aan de Moscow State University, ontdekkingen, pemuliharaan alam sekitar, pencemaran air, pencemaran kimia, pendidikan universitas, pendidikan universiti, penemuan, pengendalian polusi, pollution control, pollution of water, poluarea apei, poluarea chimică, poluição da água, polusi kimia, przydatne bibliografia, qualidade da água, qualità dell'acqua, recent, recursos hídricos, reostustõrje-, research that was done at Moscow State University, resultados da investigação científica, resultat av vetenskaplig forskning, resultaten van wetenschappelijk onderzoek, results of scientific research, resursele de apă, rezultate ale cercetării ştiinţifice, S.A.Ostroumov, sains, sains alam sekitar, science, scienza, scienze ambientali, scoperte, segurança ambiental, seguridad ambiental, sicurezza ambientale, siguranţa mediului, sites, ştiinţă, ştiinţa mediului, su ekosistemleri, su kalitesi, su kaynaklarının, su kirliliği, sumber air, sumber daya air, Summary, sürdürülebilirlik, sustainability, sustentabilidade dos ecossistemas aquáticos, teadus-, trwałość, tudomány, új tények, Umwelt, Umwelt-Biotechnologie, Umweltschutz, Umweltwissenschaften, Universidade Estadual de Moscou, Università Statale di Mosca, universitair onderwijs, Universitatea de Stat din Moscova, üniversite eğitimi, universitetsutbildning, university education, Uniwersytet Moskiewski, upptäckter, useful bibliography, uuendused, uusi fakte, vattenkvalitet, vattenresurser, vee kvaliteet, vee-, veeökosüsteemide, veevarud, vervuiling van water, vetenskap, Wasser-Qualität, Wasserressourcen, water quality, water resources, wetenschap, Wissenschaft, wykształcenie wyższe, wyniki badań naukowych, yararlı bibliyografya, zanieczyszczenia chemiczne, zanieczyszczenie wody, zasoby wodne, η επιστήμη, η έρευνα αυτή ήταν που έγινε στο Κρατικό Πανεπιστήμιο της Μόσχας, η πανεπιστημιακή εκπαίδευση, η ρύπανση των υδάτων, η χημική ρύπανση του περιβάλλοντος, οικολογία, τη διατήρηση της φύσης, την περιβαλλοντική ασφάλεια, την περιβαλλοντική βιοτεχνολογία, την ποιότητα του νερού, της βιολογίας, της βιωσιμότητας, το περιβάλλον της επιστήμης, τον έλεγχο της ρύπανσης, των υδάτινων οικοσυστημάτων, των υδάτινων πόρων, χρήσιμη βιβλιογραφία, адкрыцця новых фактаў, біологія, біялогія, вищої освіти, відкриття нових фактів, водних ресурсів, водныя рэсурсы, водныя экасістэмы, вынікі навуковых даследаванняў, вышэйшай адукацыі, даўгавечнасць, екологічна безпека, екологічної біотехнології, забруджванне вады, забруджвання, забруднення, забруднення води, інавацыі, інновації, карысная бібліяграфія, корисна бібліографія, Маскоўскі дзяржаўны універсітэт, Московський державний університет, навакольнага асяроддзя, навколишнього середовища, навукі, навукі аб навакольным асяроддзі, науки, науки про навколишнє середовище, охорона навколишнього середовища, прыродныя, результати наукових досліджень, С.А.Остроумов, стійкості водних екосистем, хімічнае забруджванне, хімічне забруднення, экалагічнай біятэхналогіі, экалагічная бяспека, экалогіі, якасць вады, якість води, արդյունքները գիտական հետազոտությունների, բնապահպանություն, բնության պահպանման, գիտություն, կայունությունը, կենսաբանություն, համալսարանական կրթություն, հայտնագործությունների, միջավայրի աղտոտվածությունը ջրի աղտոտման վերահսկողություն, Մոսկվայի պետական համալսարան, նոր փաստեր է, նորարարության եւ екологія, շրջակա միջավայրի անվտանգությունը, շրջակա միջավայրի գիտության, շրջակա միջավայրի կենսատեխնոլոգիա, ջրային էկոհամակարգերի, ջրային ռեսուրսների, ջրի որակը, քիմիական աղտոտման, օգտակար նյութեր, زبان فارسی، اکولوژی، علوم زیست محیطی، زیست شناسی، ایمنی، محیط زیست، کیفیت آب، پایداری اکوسیستم های آبی، منابع آب، حفاظت از طبیعت، آلودگی شیمیایی، محیط زیست، آلودگی آب، کنترل آلودگی، بیوتکنولوژی محیط ز, 中国的语言，生态学，环境科学，生物学，环境安全，水的质量，可持续性，水生生态系统，水资源，自然保育，化学污染，环境，水体污染，污染控制，环境生物技术，科学，教育大学，有用的参考书目，结果，莫斯科国立大学的科学研究，发现新的事实，创新， 한국어, 日本語、エコロジー、環境科学、生物学、環境安全性、水質、持続可能性、水生生態系、水資源、自然保護、化学物質汚染、環境、水の汚染、公害防止、環境バイオテクノロジー、科学、大学教育、有用な文献目録、科学研究、モスクワ州立大学、発見、新しい事実、技術革新の結果, 공해 제어, 과학, 과학 연구, 대학 교육, 모스크바 주립 대학, 물 오염, 발견, 새로운 사실, 생물학, 생태학, 수생 생태계, 수자원, 수질, 유용한 참고 문헌, 자연 보호, 지속 가능성, 혁신의 결과, 화학 오염, 환경, 환경 과학, 환경 생명 공학, 환경 안전Leave a comment on Sum:Innovations, discoveries: science, environmental science, ecology, life sciences: some recent blog posts and sites. There are a lot questions that are of key interest in our studies of ecological mechanisms that regulate, modify and form water quality in surface aquatic ecosystems. These questions are listed below. Besides microorganisms, do the other organisms play a key role in improving water quality? Which processes are the main ones which contribute to water self-purification? Which organisms play key roles in improving water quality in aquatic ecosystems? Which organisms, freshwater or marine are more involved in improving water quality? How biological, chemical and physical processes are interacting in ecosystem in improving water quality? Is it possible to organize a multitude of factors and processes of water self-purification into a few groups (categories, blocks)? Is the self-purification potential of an aquatic ecosystem a certain constant or a labile parameter? 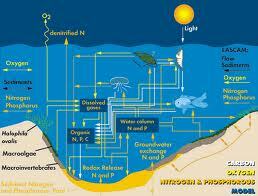 Is the mechanism of water self-purification vulnerable to external impact on the aquatic ecosystem, e.g. to the impact of chemical pollution with synthetic chemicals? Ostroumov S.A. Polyfunctional role of biodiversity in processes leading to water purification: current conceptualizations and concluding remarks. -Hydrobiologia, 2002,469: 203-204.
and some other papers by the same authors cited in those articles. The series of these papers contributed to a new conceptualization of multifunctional role of organisms, biological community and ecosystem in improving water quality. In Chinese (simp. ): http://www.scribd.com/doc/82323589/ In Chinese (trad. ): http://www.scribd.com/doc/82374003/In French: http://www.scribd.com/doc/82323068/In-French In Indonesian: http://www.scribd.com/doc/82369704/In-Indonesian;In Italian: http://www.scribd.com/doc/82370780/; In Japanese: http://www.scribd.com/doc/82404969/In-Japanese; In Malay:http://www.scribd.com/doc/82409403/In-Malay; In Portuguese: http://www.scribd.com/doc/82463074/ In Spanish: http://www.scribd.com/doc/82469956/In-Spanish;. 1. Innovative conceptualization: how ecosystems improve water quality. 2. Fundamentally new facts: hazardous biological and toxic effects of detergents. 3. Inhibitory analysis: A new method to explore top-down control in ecosystems. 4. A contribution to solution: the problem of criteria for environmental hazards. 5. A new contribution to solution: the problem of eutrophication. 6. New measurements: a quantitative estimate: the role of pellets of mollusks. 7. New facts, discovery: pollutants inhibit: fluxes (flows, transfers) of chemical elements. 8. Biomachinery. A new fundamental concept. New scientific term. Authored by Dr. S.A. O. 9. Modernized Terminology. A new improved definition. What is ‘ecosystem’? 10. New key facts. Scientific basis of technology. New phytotechnology: water treatment. 11. A new step. How to solve the problem. Stability of the biosphere. 12. A new component of the mechanism of regulation. Self-organization in the biosphere. 13. New serious hazards: low-level (sublethal) chemical pollution. 14. A new environmental hazard of pollution: damage to links between parts of ecosystems. 15. A new mechanism. How living organisms change the environment. 17. A new anthropogenic factor: initiation, stimulation of algal blooms. So, air pollution’s harmless, eh? Yeah, and I’m thinking of this bridge I’d like to sell, too!